During the last several months, Professor Brett Kahr has delivered a number of presentations, including a lecture on ‘ “Slashing the Teddy Bear’s Tummy with a Carving Knife”: The Infanticidal Roots of Schizophrenia’, at the conference on “Psychosis and Psychoanalysis: Politics, Theory, History, Technique”, held at the Anna Freud Centre in London under the joint sponsorship of the Freud Museum London and of the Psychosis Therapy Project – a new, pioneering venture based in Islington, North London, designed to provide psychoanalytical treatment for patients suffering from long-standing psychoses. Kahr will develop his work on the role of death wishes in the aetiology of states of extreme psychopathology in his forthcoming Keynote Address to the Annual Conference of the Foundation for Psychotherapy and Counselling in London on the topic, ‘ “I Hope You Die and I Hope it’s Soon”: Can Infanticidal Wishes Be Survived?”. Additionally, Kahr participated in a panel discussion about “Psychoanalysis and Autobiography” at the Oxford Centre for Life-Writing, at Wolfson College in the University of Oxford. He had the pleasure of speaking alongside Professor Laura Marcus of the University of Oxford and Dr. Joanna Morra of Central St. Martins, University of the Arts London. Dr. Kate Kennedy, the centre’s Weinrebe Research Fellow in Life-Writing, chaired this most interesting event about the importance of life-writing and about the potential for collaboration between mental health clinicians and academics. He also hosted an “in conversation” at the Freud Museum London with Gabrielle Rifkind, the group analyst and political activist, discussing her excellent new book on The Psychology of Political Extremism: What Would Sigmund Freud Have Thought About Islamic State? Additionally, he spoke at the twentieth anniversary party for Confer, the leading mental health conference organisation, at Lauderdale House, in Highgate, London, paying tribute to the more than one thousand events that Jane Ryan, Director of Confer, and her team have organised on behalf of British psychological professionals over the last two decades. Additionally, Kahr shared a panel with Professor Iain MacRury and Professor Candida Yates – two very distinguished psychosocial scholars – at Bournemouth University at a Symposium on “Communicating Empathy in a Post-Brexit Landscape”, part of the Economic and Social Research Council-sponsored “Festival of Social Science”. Later this term, he will speak at the Confer event on “What is Normal?”, discussing “Flourishing: The “Normal” Therapist Versus the “Healthy” Therapist”. He will also be speaking at 70th anniversary conference of Tavistock Relationships entitled “When We Talk About Love: Celebrating the First 70 Years”, held at King’s College London. Kahr will lecture on his archival research on the early history of couple psychoanalysis in Great Britain, focusing, in particular, upon the contributions of Enid Eichholz and the Family Discussion Bureau, which developed in the wake of the destruction of family life during the Second World War. He will expand upon this historical research in a presentation at another conference on “The Balints and Their World: Object Relations and Beyond”, sponsored by the Freud Museum London and co-organised by Birkbeck, University of London, as well as by Imago International, the British Psychoanalytical Society, the Wellcome Trust, and the U.K. Balint Society. Finally, just before Christmas, 2018, he will appear on a panel on “Criminal Minds” at the Institute of Psychoanalysis in London, sponsored jointly by The International Journal of Psychoanalysis and by Media and the Inner World, exploring the role of castration anxiety and consequent traumata in the genesis of male murderers. In terms of institutional work, Professor Kahr continues to serve as a Trustee for the Freud Museum London. He has recently become a member of the museum’s Research Working Group to help promote original research on psychoanalytical topics. He has also become Chair of the Academic Membership Committee of the British Psychoanalytic Council, and with colleagues will help to establish greater links among psychoanalytical clinicians and psychoanalytical scholars in universities. In terms of his work in the media, he appeared on one of the very first ever Iranian television programmes about the life and work of Sigmund Freud. Additionally, he had the privilege of being interviewed by Professor Sarah Niblock, Chief Executive of the United Kingdom Council for Psychotherapy, about the psychotherapeutic treatment of anxiety, as part of a podcast series sponsored jointly by the U.K.C.P. and by Psychologies magazine. Additionally, both he and Dr. Susie Orbach participated in a series of interviews on psychotherapy for the Science Museum in London, which will form part of the museum’s new, upcoming permanent exhibition on the history of medicine, due to launch in 2020. Kahr has continued to publish books and papers. 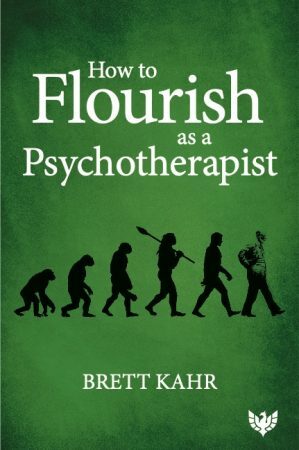 In the last several months, his latest book, How to Flourish as a Psychotherapist, appeared from Phoenix Publishing House (www.phoenixpublishinghouse.co.uk), founded by Kate Pearce and Fernando Marques. The publishers launched this event at Waterstones in Hampstead, North London. 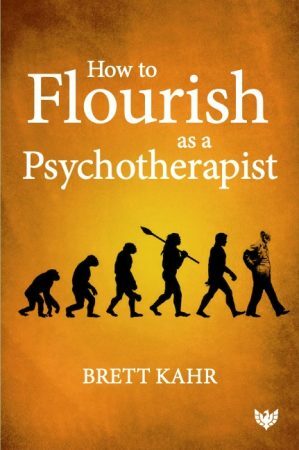 Kahr has written this book for psychotherapists of all ages, from those contemplating training to those at the end of their careers, exploring how colleagues can engage maximally with this challenging but, potentially transformative career. His book Coffee with Freud (Routledge / Taylor and Francis Group) has now appeared in Turkish translation from Sfenks Kitap, the Istanbul publishers, under the title Freud’la Bir Fincan Kahve, translated by Sehnaz Layikel; and his book Tea with Winnicott (Routledge / Taylor and Francis Group) has appeared in a Farsi translation from the Tehran publishers Binesh No, under the title Chãy Bã Winnicott, translated by Mahyar Alinaghi. A profile of Kahr appeared in Therapy Today, and his article on “Freud’s Death Bed: Notes on the “Invalid Couch” at Maresfield Gardens”, appeared in New Associations. He also wrote a foreword to the English translation of Dr. Ulrike May’s new book on Freud at Work: On the History of Psychoanalytic Theory and Practice, with an Analysis of Freud’s Patient Record Books (Routledge / Taylor and Francis Group) which has appeared in the “History of Psychoanalysis Series” which Kahr co-edits with fellow psychoanalytical historian Professor Peter Rudnytsky.